With all the technological advances happening, we’re glad to see that there’s still a huge focus on libraries. One of Astoria’s very own got a much needed revamping – and it was all for the kids. 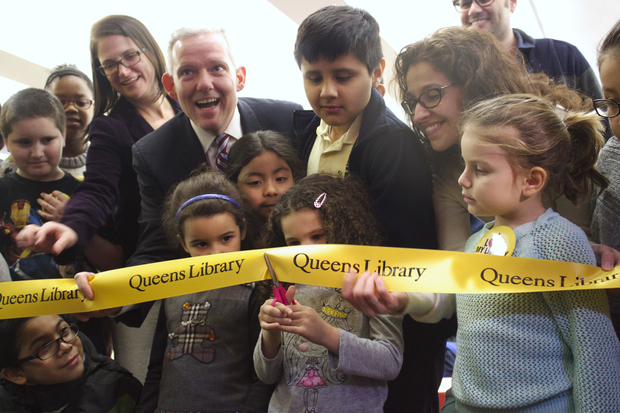 The Broadway branch of the Queens Public Library system received more than $750,000 in funding. About $300,000 of those were used to update the kids room. New additions to the floor included new shelves, lighting and furniture – including tables and chairs and brightly-colored foam seats that kids can pick up and move around the room. The Broadway branch is particularly busy, and draws lots of school aged children – some for after school programs, some who simply come by to have some fun in a safe environment. We’re glad to see that the library has been updated for them!